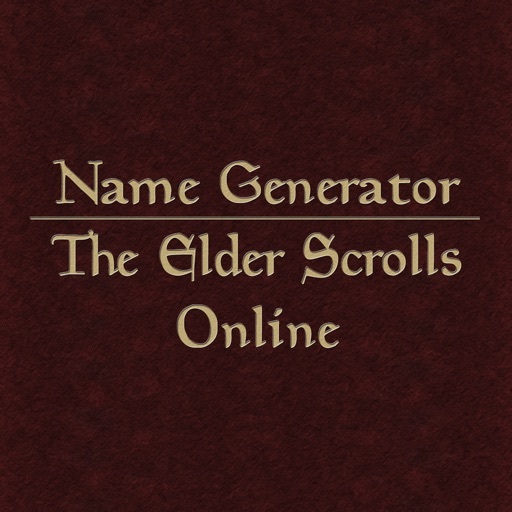 With more than 9.000 downloads, what are our users' impressions of their experiences with Name Generator for The Elder Scrolls Online? 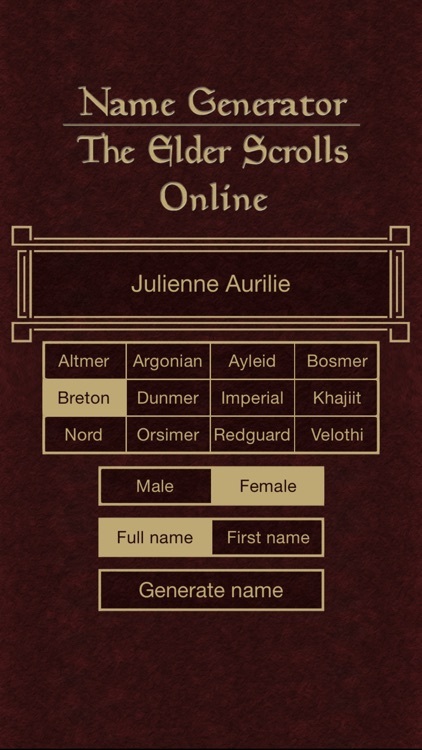 Now is the time to find out just how using Name Generator for The Elder Scrolls Online may assist YOUR search for your ideal character name. 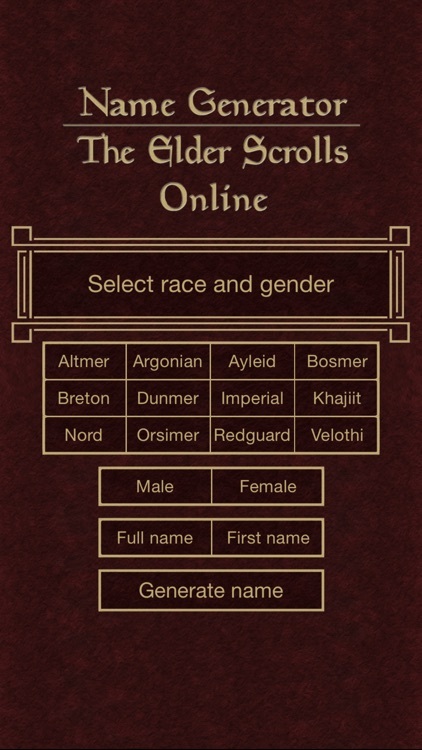 Just select your preferred race and gender, then press "Generate name" and let the endless stream of lore-friendly names inspire you. 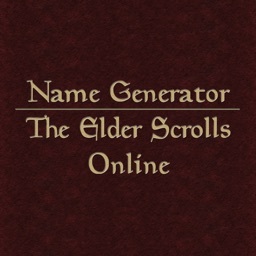 This name generator allows you to easily establish a distinctive, lore-friendly name to use in The Elder Scrolls Online®, the massively multiplayer online role-playing game developed by ZeniMax Online Studios® and published by Bethesda Softworks®. 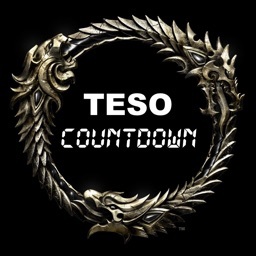 Name Generator for The Elder Scrolls Online invites you to taste all the rich and diverse flavours of Tamrielic names, combining more than 10.000 hand-picked male, female and surnames from all the playable races, i.e. 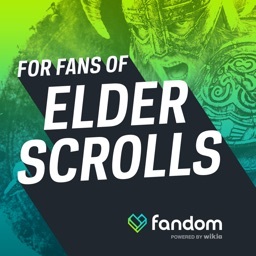 Altmer (High Elf), Argonian, Bosmer (Wood Elf), Breton, Dunmer (Dark Elf; separately including names of both Dunmer and Velothi/Ashlander origin), Imperial, Khajiit, Nord, Orsimer (Orc), and Redguard, as well as including a modest number of Ayleid names as a small bonus for those who want inspiration for a name as a claimant of the true heirs to Imperial City. 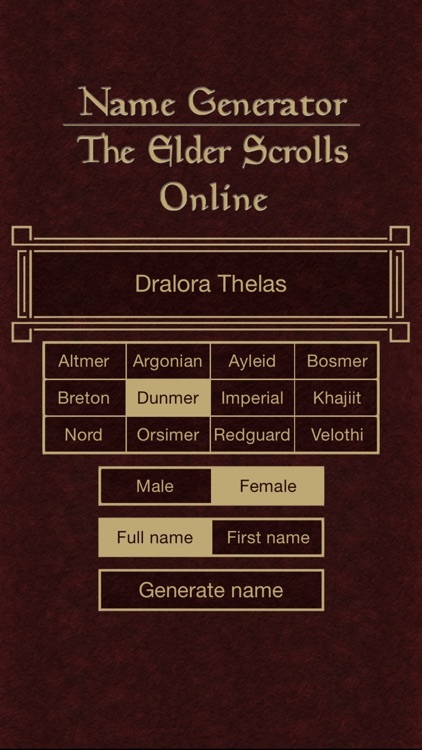 All generated names are, to a general extent, adhering to the lore of Tamriel and the Elder Scrolls® universe, but the names are generated for inspirational purposes primarily, and it's up to you to define the unique story of how your character acquired his/her name. 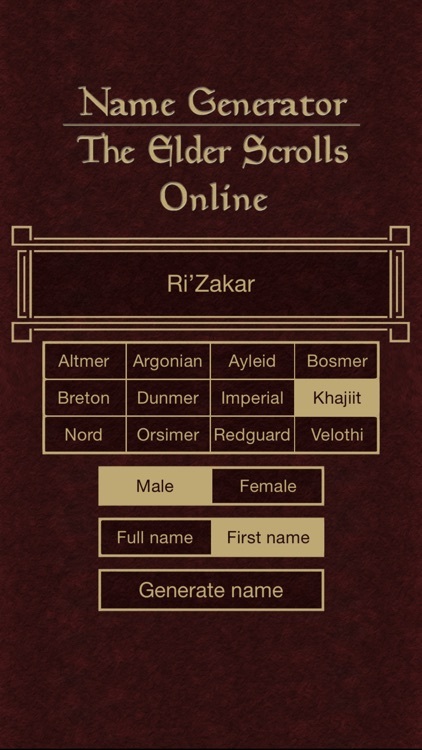 Now, let the endless stream of lore-friendly names inspire you, allowing you to create a distinct, immersion-enhancing name you will be proud to bear in the realm of Tamriel! 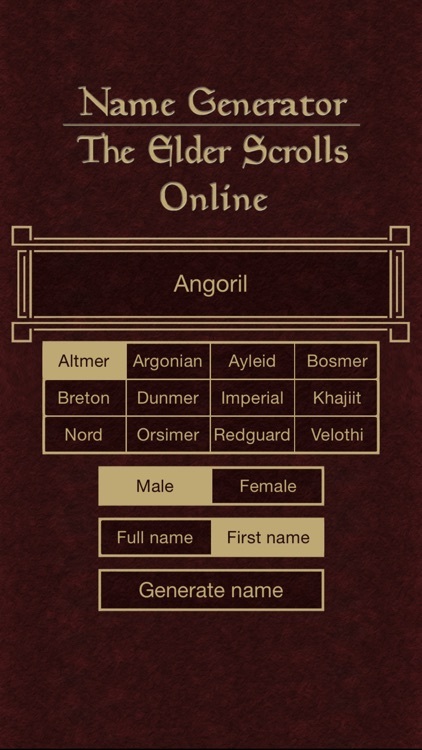 Note: While this name generator can supply both first and last names for all races, Redguards traditionally have only been called by their given name in general, and the Altmer, Argonians, Bosmer and Khajiit generally lost their tradition to bear surnames somewhere between 3E 405 and 3E 427. 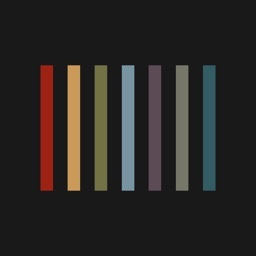 It is recommended to pay regard to these naming conventions when naming characters of the above races, however you are free to generate inspirational names of both options for any race. 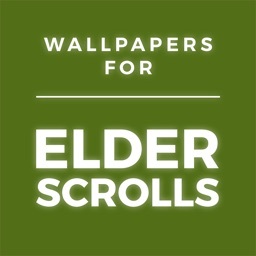 Legal disclaimer: This application is a fan's humble tribute to Tamriel's captivating lore and hopefully a useful tool for those who choose to blissfully dwell there, but it is not affiliated with or endorsed by neither the developer, ZeniMax Online Studios®, nor the publisher, Bethesda Softworks®, of The Elder Scrolls Online®. 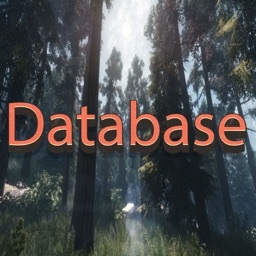 This name generator is solely intended to assist fans and subscribers of the MMORPG in choosing a name which accomodates their preferences, as well as stimulating a more lore-friendly world in-game.